Your sleep quality and levels of stress are also directly correlated to your weight. 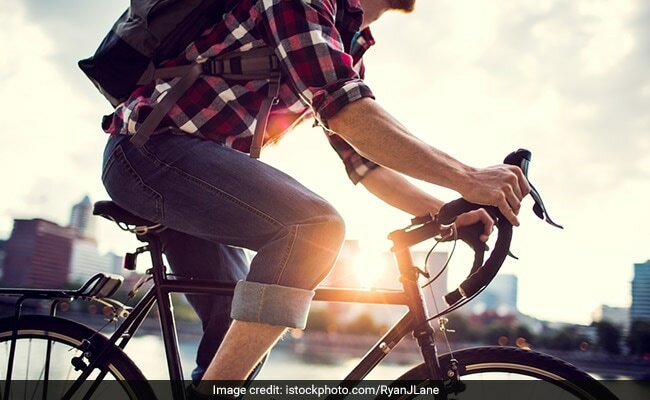 Experts reveal that biking to work may turn out to be as beneficial as sweating it out in the gym. People who cycled to work were as physically active and burned the same amount of calories a week as those who indulged in high and moderate intensity of physical exercise in the gym. "This is good news to the many overweight people who may not have the time or inclination to join a fitness centre, because they also have to pick up their children and cook dinner after work," said Bente Stallknecht, Professor and Head of Department at the University of Copenhagen. Health experts and fitness enthusiasts also suggest walking at least 10,000 steps every day to maintain healthy weight or to lose those extra kilos. Interestingly, controlling your diet may also go a long way in helping you lose weight or maintain your existing weight. A balanced diet should include a mix of carbs, protein, essential fats derived from items like fresh fruits and veggies, nuts, seeds, berries, dairy, poultry, fermented foods, lean meat, legumes, lentils, whole grains among others. Steer clear of excessive refined food consumption, junk food, saturated fats, trans fats and sugar-laden foods to keep your weight in check. Red meat must also be consumed in moderation. Your sleep quality and levels of stress are also directly correlated to your weight. Keep a check on your alcohol and caffeine consumption and avoid smoking. Exercise portion control and eat consume smaller frequent meals over larger, fewer meals.